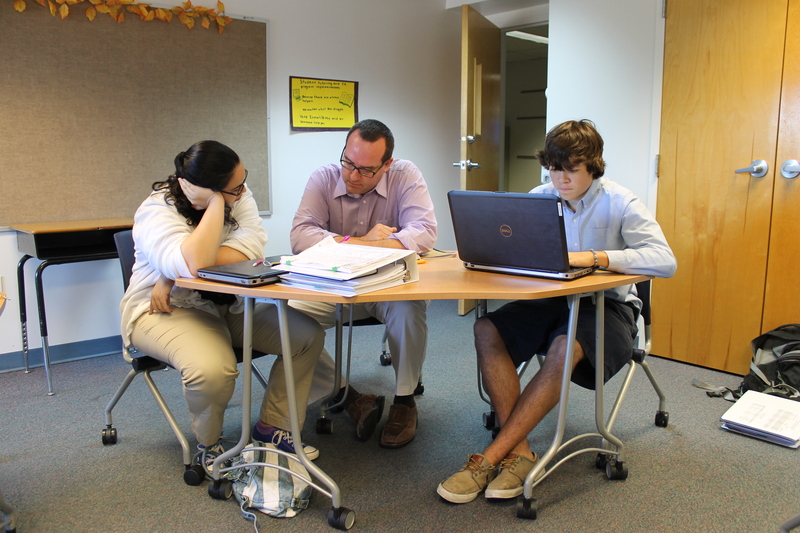 English instruction in the Upper School emphasizes higher-level thinking, literary analysis, and both the art and process of writing. Intentional instruction and a scaffolded curriculum support student development. Strategies such as text annotation support the development of higher-level thinking, and comprehension is deepened through participation in activities like Socratic Seminars. Students read classic and contemporary literature, with an emphasis on the words of writers from underrepresented communities.